Even if you spent zero time in the military you are probably familiar with the M16 if only in name. This semi-automatic weapon has been the official weapon of the US military for decades. In recent years there has been a push to replace the M16 with the M4. Although similar in many ways, the M4 is a smaller carbine and considered more versatile than the M16. These two US made weapons are efficient and powerful. In this article we will take a closer look at both. Feed System 20-round detachable box magazine: 0.211 lb (96 g) empty / 0.738 lb (335 g) full; 30-round detachable box magazine: 0.257 (117 g) empty / 1.06 lb (480 g) full; Beta C-Mag 100-round double-loped drum: 2.20 lb (1,000 g) empty / 4.81 lb (2,180 g) full 30-round box magazine or other STANAG magazines. Magazines with different capacities are also available. Primarily, the materials used in the production of the M16 were aluminum and plastic. The bolt carrier section, barrel, and trigger are made of steel. 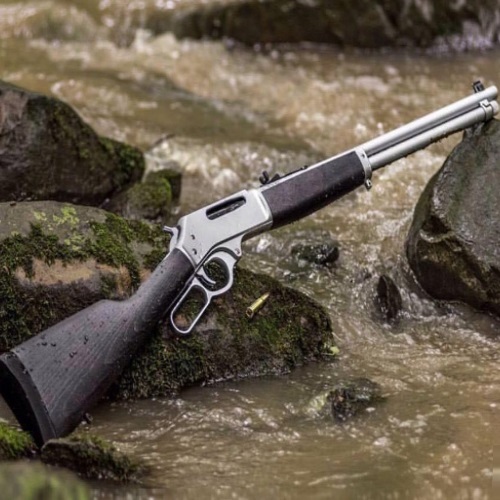 Fiberglass construction is also used where wood was once used, making the rifle even lighter than any of its predecessors. Commonly, the rifling on the M16 and its many variants is between 1:7 (1 turn in 7 inches) and 1:12. Depending on the range of targets and the ammunition used, the ideal twist rate will vary. For heavier bullets, a more rapid twist (closer to 1:7) is needed. For lighter bullets, a 1:12 twist rate should suffice. Ballistics experts agree that the desired twist rate is 1:7 or 1:8. 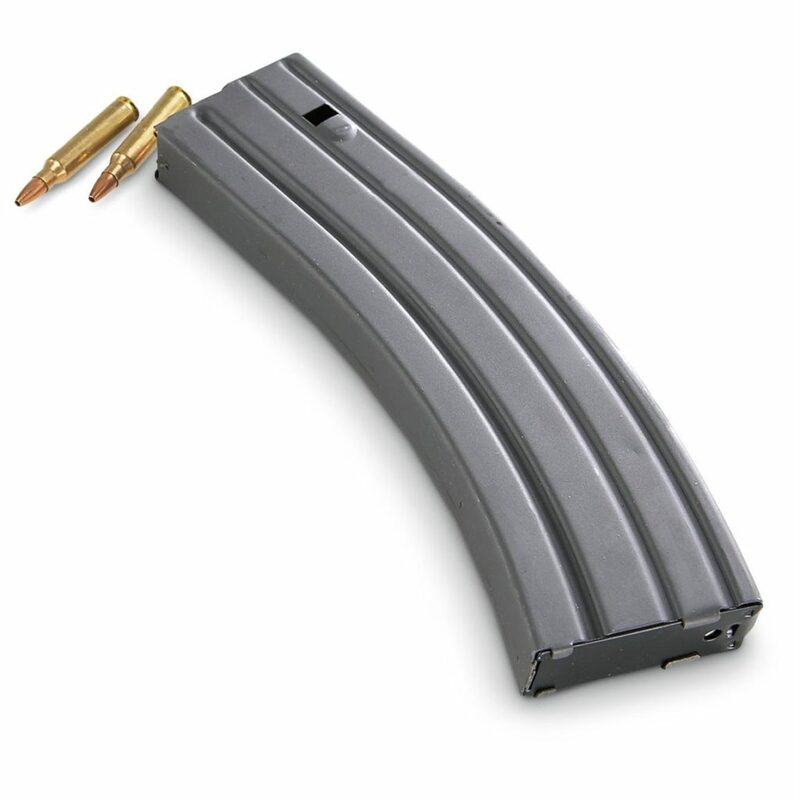 While this is a fast twist, which can accommodate all kinds of ammo, it comes with a price. The faster the projectile turns, the faster the barrel becomes dirty with build-up. Each model of rifle in the extended AR-15 family has a unique twist rate. You won’t find two of the same model with different kinds of twists, unless the barrel has been replaced with that of a different model. Originally, the M16 rifle had very different rifling: right-hand twist, 4 grooves, 1:14. Later, the grooves became 6. Currently, the twist is 1:7. Civilian M16-dopplegangers have a twist rate of 1:9. The sights on the original M16 were assembled as part of the carrying handle. There was a time when a scope would be mounted on the handle itself. 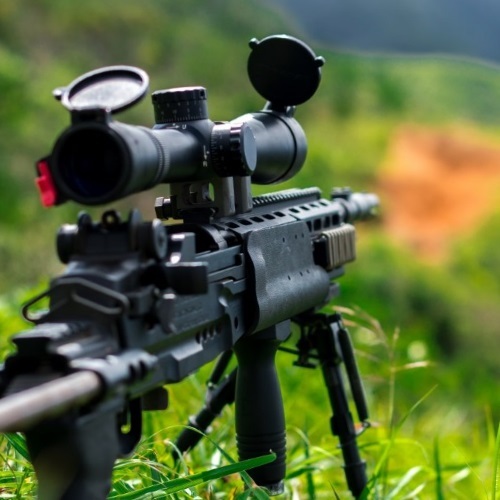 The M16 rear sight is adjustable, with two setting: 0 – 300 meters, and 300 – 400 meters. Many soldiers were trained to fine tune their weapons using a cartridge. The M16A2 brought with it an important advancement: the rear sight became fully adjustable, without the need for a tool or bullet tip. In later models, the M16 already comes with picatinny rails, and it allows for different scopes and optic accessories to be attached. The current United States Army and Air Force issue M4 Carbine comes with the M68 Close Combat Optic and Back-up Iron Sight. The United States Marine Corps uses the ACOG Rifle Combat Optic, and the United States Navy uses EOTech Holographic Weapon Sight. The M16 cartridge magazines were meant to be for one time use. In the beginning, when there was a 20-round magazine, troops would only put in 16 cartridges, in order to avoid harming the magazine spring. When the magazine capacity grew to 30 rounds, the troops would put in less rounds for the same reason. The M16 magazine is another set standard by which many other magazines are measured and judged. It is made of pressed or stamped aluminum, it has a bent shape, and it is very lightweight. This causes some problem on occasion, which is why other gun companies and weapons manufacturers have taken to produce more durable, high-quality, less malfunction-prone M16 magazines. Since its inception, the design of the M16 magazine has been copied and used in all kinds of weapons systems all around the globe. It is still one of the most popular magazine designs in the world. There are steel magazines, as well as plastic ones. Many M16s have a threaded barrel, which allows the incorporation of devices such as flash suppressors and sound suppressors. Originally, the M16 had a three-pronged flash suppressor, but there were complaints of the suppressor breaking or getting stuck in vegetation. The M16A1 was made with a “bird cage” flash suppressor, and the A2 was made with a “bird cage” and a closed bottom. This was done to avoid dust and dirt being kicked up by the rifle’s action. The United States military currently uses Vortex flash suppressors, designed and created in 1984, by Smith Enterprises. The M16 and M4 are both impressive weapons. Although they have had their share of technical issues many improvements have been made that have addressed these issues. They have made the M16 and M4 formidable firearms. 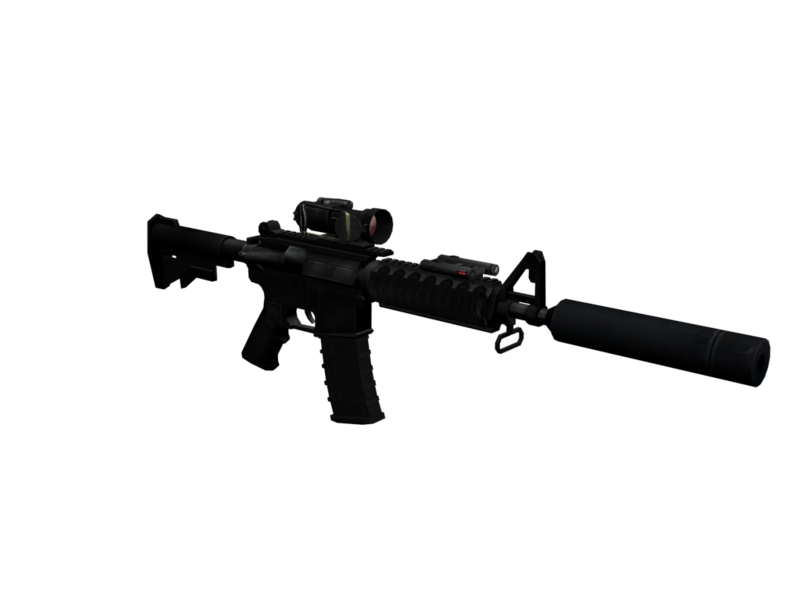 The M4 uses 80% of the M16’s parts which make them nearly interchangeable. Their key difference is size. The M16 is a longer weapon and that has its advantages. The M4 is smaller and more compact which lends to it being more efficient in close combat scenarios. Which is a better weapon? That is a “loaded” question that really has no definitive answer. It all comes down to personal preference. They are essentially the same weapon with minor differences. If weight and size are a concern the M4 may be what you need. If not, the M16 has proven to be a weapon with staying power and has its own loyal fan base.